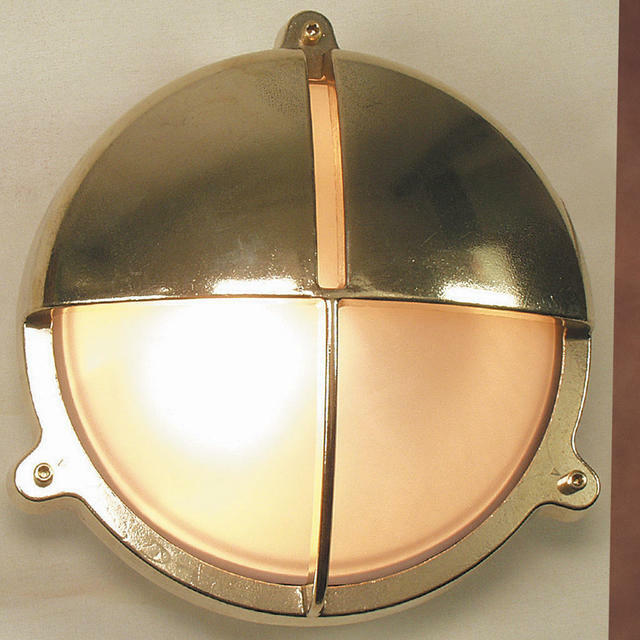 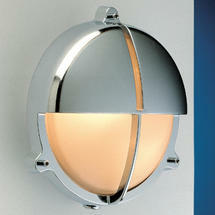 Highly polished contemporary bulkhead lights. 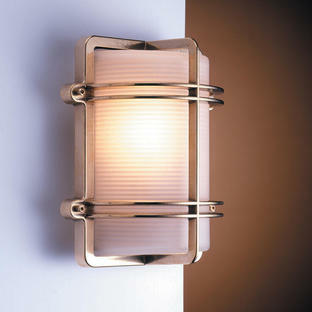 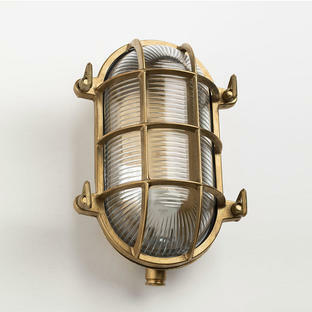 These striking, highly polished outdoor wall lights will create a statement in urban locations. Made from solid brass, they can be used as either a wall or ceiling light. 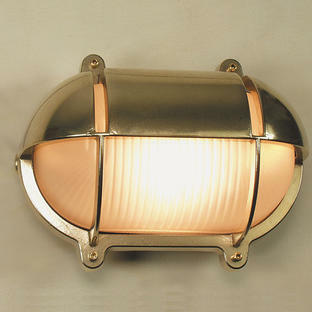 The large bulkhead is also available with three external fixing legs.